The MINI Cooper is notorious for having an agile performance with sharp steering and excellent body control. Overall, it provides a fun driving experience around Annapolis, Highland Beach, and Hillsmere Shores. Since it’s so great to drive, you’ll want to make sure it runs well for a long time, which is why it’s crucial to keep up with regular maintenance. Luckily, our maintenance schedules will tell you when your MINI Cooper needs certain work completed at any given time. Learn all about the MINI Cooper maintenance schedules and contact us at MINI of Annapolis if you have any questions. Our MINI Cooper maintenance schedules will tell you the work that’s expected, so you’ll be prepared when you bring it in for service. The MINI Maintenance System will display the service the car needs on the dashboard. Whenever you get an alert that service is needed, you’ll want to take care of it as soon as possible. When your MINI Cooper needs service, let us handle it in our state-of-the-art service center. Our certified technicians have years of experience working on the MINI Cooper. As a result, they can take care of any oil changes, tire rotations, or other work quickly and efficiently. Plus, if anything has to get replaced, we’ll do so using genuine parts. These are the same ones found on the assembly line when the car was first built. As such, the part will fit inside the car perfectly and help keep it performing well for many years and miles. 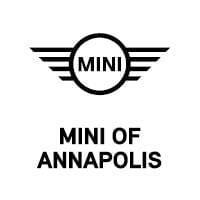 Schedule MINI Cooper Service Today in Annapolis, MD! The MINI Cooper maintenance schedule is crucial to know when your vehicle needs service. If it’s time to get work done on the car, then schedule service at MINI of Annapolis. We’ll get your MINI Cooper in tip-top shape and have you back on the roads of Annapolis, Highland Beach, and Hillsmere Shores in no time. So, don’t wait. Schedule MINI Cooper service today!